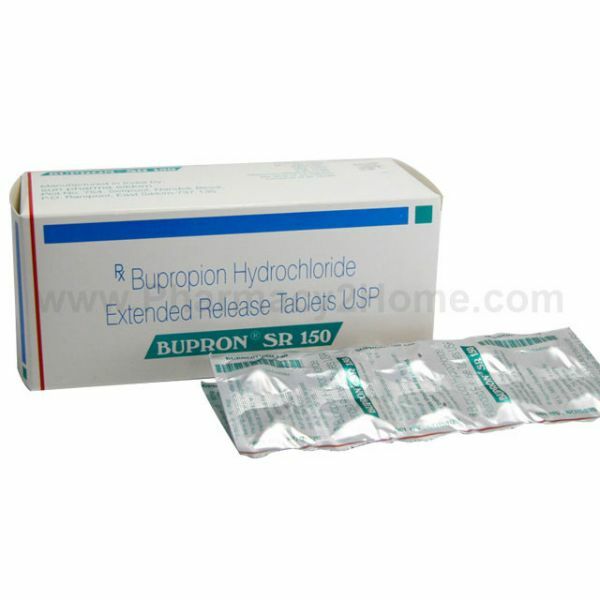 Bupron Sr 150 Mg contains bupropion, which is anti-depressant with anti-addictive properties. It is used to treat depression and to help with smoking cessation.Majorly it is used for relieving symptoms, including loss of pleasure or interest in daily activities and severely depressed mood. Bupron tablets also help cure nicotine dependence by suppressing the nicotine with drawl cravings like irritability, restlessness and anxiety. 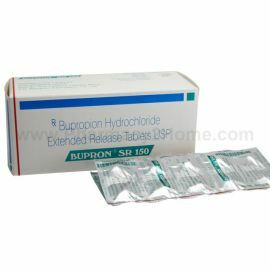 Bupron Sr 150 Mg contains bupropion, which is an anti-depressant. It works by inhibiting the nerve cells take up of serotonin. The balance of dopamine and noradrenaline are restored in the brain by inhibiting their uptake. Your doctor needs to keep a record of the frequent visits. Family members and close friends should be alerted about the mood swings or any symptoms. How to Take Bupron Sr 150 Mg? Don’t crush or chew the bupron. Take it as a whole. Take the medication as prescribed by the doctor. Don’t take it in small or larger quantities. It can be very dangerous. For adults usually 100 – 150 mg/day is initially prescribed. Single doses shouldn’t exceed 150mg/day. In case of over dosage, immediately contact the nearby emergency center or any hospital. Take the missed dose as soon as you remember. If it is time for the next dose, skip the missed dose. Never overdose the medicine. Don’t stop using bupron SR suddenly, as it can have adverse and unpleasant symptoms. Talk to your doctor about it and let him guide you. When Bupron Sr 150 Mg Should Not Be Used? How Long Should You Take Bupron Sr 150 Mg? The drug should be taken for the prescribed duration by the doctor, usually for 7-9 weeks. Taking the drug for a longer time may make the person susceptible to seizures.